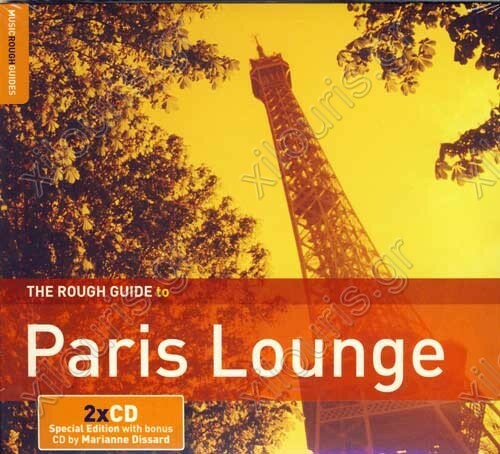 Throughout the twenty arrondissements (districts) of Paris, when night falls one is likely to enter a café, club or restaurant and encounter the ubiquitous sounds of lounge music. As this album illustrates, lounge music is far from merely mood music; it offers the listener a rich and rewarding experience that is, at its best, wholly captivating. With its trademark lush strings and melancholy feel, Benjamin Biolay’s music is as slow-burning and smouldering as his looks. ‘La Superbe’ feels like a first-class trip on Eurostar, straight to the Paris of Etienne Daho, Bashung, Gainsbourg and Michel Legrand. Paris-based Pascal Parisot’s original music mixes classic French chanson, Latin beats and Brazilian harmony. Composing irresistible melodies carried by an enchanting voice, Fredda sings and plays the banjo. ‘Barry White,’ featured on this album, is less an homage to the soul singer than a nostalgic reminiscence of the period when Fredda frequented clubs. With their ‘Zazou’ look, inspired by Parisian paleo-punks from the 1940s, Caravan Palace serve up festive and frantic music that breathes fresh air into the timeless swing and lounge scene. ‘Lazy Place’ is a moody instrumental piece, whereas their second track on this album, ‘Jolie Coquine’, is a futuristic and melodious Charleston fit for the dance floor.